What is a walleye? Like a Pike-Perch? My favorite kind of fishing is with a small cart. 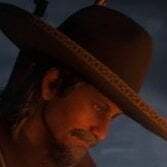 I bring it to the northeast side of Ownija and fill it up with muskies. There's sockeye to fill your inventory with as well. Then I drive off to Strawberry to sell the fish. This area is good for steelhead AND largemouth bass So you can knock out two medium sized fish here. I fish where the two rivers meet. The tall banks also eliminate the last 10 feet of reeling. Sockeye congregate in this small eddy. Since you don't have to cast and reel a 100 feet, you can pull sockeye and small fish out here in a hurry. Edit: Also, if you see smaller fish swimming in schools close to the shore, you can run in the water and scare a few up on to land. Saves some small fish catching time. flat iron lake is a good spot to catch steel head as well. I'm trying to find areas where I can catch at least two medium sized fish in one sitting. 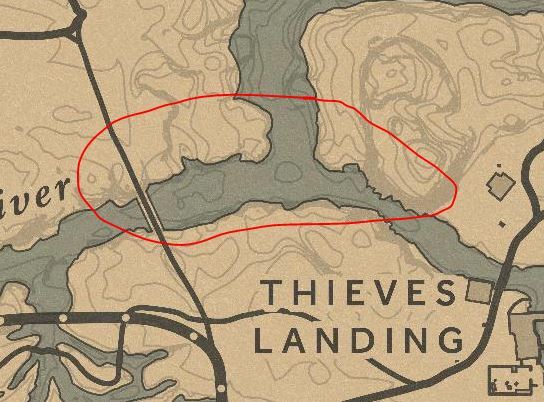 The river junction at Thieves Landing (LM bass and steelhead) and the far south of Rio Bravo (by Shakey's stranger mission; steelhead and SM bass) are the only two I've found. Would like to find a good sockeye and other medium fish spot. Bard's Crossing has both Trout and Largemouth Bass. Clemens Point story mode camp site pier has trout and smallmouth bass. The pirate hat island across it has largemouth bass, smallmouth bass and trout. Sockeye and some kind of bass spot. Thats the one I'm looking for. It's usually ONLY sockeye so I usually have to make a trip to only get sockeye when I need them. I get a constant spawn of Sockeye on the river just behind Fort Wallace. I usually start a Hannish On the Hunt mission nearby, and load up on 10 in about 8mins. Finish the mission with about 2mins left, and that's a nice payout. Anyone knows a good spot for bow fishing? Shallow water, no current, medium sized fish? I don’t know of any goods spots, but just a heads up that using a bow it’s an automatic 1 star quality. It is never too late t0 win a fishing challenge n0 matter how sh*tty a start y0u get. Choosing the right spot is everything. Who is f*cking with me vowels? Why does the forum change ma vowels? The small pond near Stillwater Creek, it has Large Mouth Bass. Oh Yeah! Found that spot myself about yesterday. Was pulling Largemouth out one after another. Have a Steelhead spot nearby that, facing the waterfall. DAMN you for posting this place!!! lol This has been my go to spot for quite some time and it is peacefully quiet, never been bothered. Tip on this particular location: ALWAYS CHECK YOUR RADAR BETWEEN CASTS. Not because of other players or threats, there is another reason. If you fish there, you will find out. DAMN you for posting this place!!! lol This has been my go to spot for quite some time and it is peacefully quiet, never been bothered. lol, oh sh*t my bad haha. Yeah it's not a bad spot, my friend LOVES it. It would eventually been discovered and been told on lol. I know I know. I'll still be there from now and again. Hey but I do know the feeling myself man; keeping a great spot or exploit a secret but finding out someone else (YTer) found it. Just never came to mind about it being someone's secret spot. 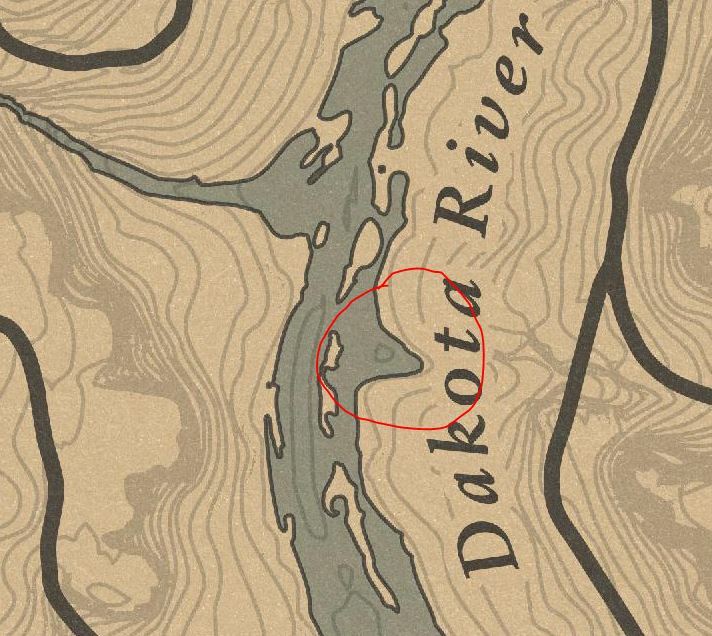 I fished there earlier today, south side of the Lower Dakota River in Hennigans Stead, and didn't see anything out of the ordinary on my radar. The north side however, is close to the four abandoned cabins with the Grizzly and that Cougar, and a Skinner Brothers ambush point. I had that hideout pop up while I was fishing for Steelhead Trout. 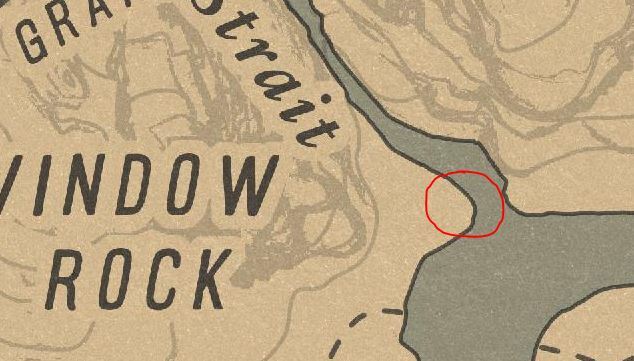 Got a treasure map for Hawkeye Creek from it too. Lately, treasure has been close to where you pick up a map. That whole area is great for bow-fishing and animal fat. If you jig your lure in those creeks and scare the fish, they jump up on shore because it's so narrow. While taking a fishing tour, and stuffing ten of each medium fish in my satchel. Sockeye, Steelhead, Large Mouth, and Small Mouth, I noticed that the Bass that beach themselves in Ringneck Creek have completely been removed. But you can still go to the small pools at the northern most part of the creek and catch Small Mouth with some actual fishing.